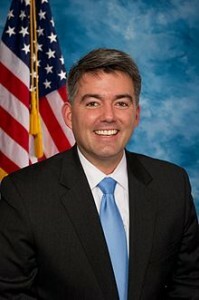 U.S. Sen. Cory Gardner isn’t limiting his fight to keep detainees inside Gitmo and out of Colorado and has introduced legislation to block President Obama from sending prisoners back to countries that are listed as state sponsors of terrorism — namely Iran and Sudan. It turns out that there is a no-release law on the books to keep prisoners from hitting the battlefields into Syria, Libya, Yemen and Somalia, but it’s okay dokey for them to go to Iran and Sudan, of all places, where 14 prisoners have been set free. Just this week the Obama administration released two more dangerous detainees to West Africa, in an attempt to empty the holding facility of detainees who have not been deemed too dangerous to resettle. It looks like Obama’s saving the dangerous prisoners for Colorado. No word on whether Sen. Bennet has decided to support Gardner’s measure. As in all matters Gitmo, we expect he will support it before opposing it.